As if Apple hasn’t had its share of good news lately, a new survey shows that interest among teenagers for the iPhone has nearly doubled in the last six months. In a survey of 6,000 students nationwide, market research firm Piper Jaffray said 31 percent of respondents said they plan to buy an iPhone in the next six months. That’s up from 16 percent from the study conducted one year ago. The percentage of respondents that already own iPhones is way up too. Fourteen percent of teens surveyed already own the device, up from 8 percent last year. 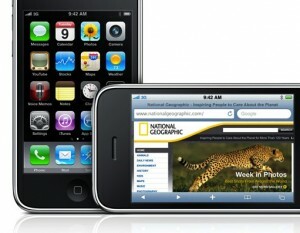 The survey also showed that iPod market share has risen from 87 percent to 92 percent in the last six months. While only 43 percent of the respondents said they leggaly purchase music online, 92 percent of them use iTunes to do it. That’s down from 93 percent six months ago. “We believe that the teen demographic is a critical component of long-term growth in the digital music and mobile markets, and Apple is taking its leading position in music and mobile markets,” wrote Piper Jaffray senior research analyst, Gene Munster, in a note to clients on Monday.